Visual Learning for Life provides parents, teachers and professionals with unique, professionally designed worksheets that help empower children who struggle with reading, spelling, handwriting, maths and comprehension due to weak visual perceptual skills. The extensive array of over 5000 worksheets have been devised to support children from 4 to 18 years. The worksheets are available on CD or as a file that can be downloaded upon purchase. Visual Learning for Life has also developed an app called Spatial Line Puzzles, which addresses spatial skills and visual motor integration skills. The child has to copy the lines of each puzzle to the empty box by joining the same dots/blocks. The puzzles are graded from easy to more challenging in 5 different levels. There are 40 puzzles in each level. After completing 5 puzzles, the child is rewarded with playing a short, fun bird game, which further reinforces spatial concepts. Visual memory skills can also be targeted. If this setting is on, the puzzle will disappear after the selected time period. 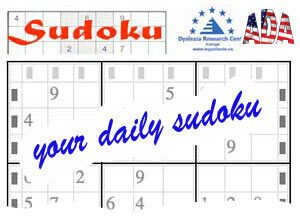 The first 10 puzzles are FREE. The remaining puzzles can be accessed through an in-app purchase.